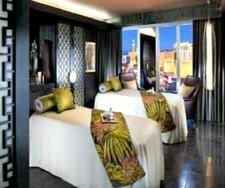 Create unforgettable Las Vegas honeymoon packages with my tips and easy to follow instructions! When I jotted down my ideas for a romantic couple's getaway in the Sin City, I was thinking - how I would like to spend my honeymoon? I've done extensive research, read what people say about romantic hotels and restaurants in Las Vegas with the best views as well as menus, and other stuff interesting to honeymooning couples. So here is the result - a complete itinerary for a perfect, romantic vacation in the Sin City, as I would love it for myself! I have been married since 1999, but I am thinking of actually following my own instructions to sort of freshen up our relationship, well, if my hubby behaves himself of course! Considering Vegas is a prime destination for honeymoons as well as for many other events calling for celebration, there is no lack of romantic hotels here! These hotels offer beautiful romantic suites as well as other perks for honeymooning couples. 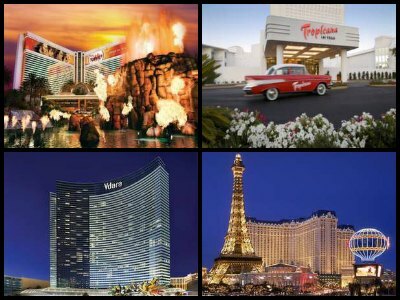 These hotels would be my next choice for Las Vegas honeymoon ! All of them have something very sweet about them that can be enjoyed by a couple. Paris Hotel, for example, reminds of the most romantic city in the world. The Mirage and Tropicana have a tropical theme so you and your significant other would feel like you are honeymooning in the Caribbean. Platinum Hotel has no casino, but has an amazing spa. 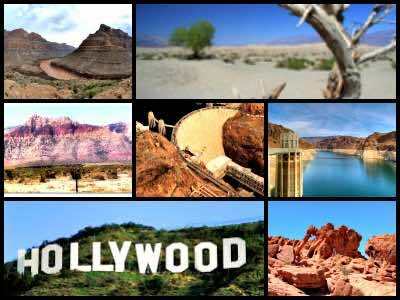 It offers a very quiet retreat from all the madness of The Strip, but close enough to it in case you want to have some fun! Here are five amazing shows in Las Vegas that I would recommend to any couple in a heartbeat! Le Reve is an incredible show with challenging acrobatic stunts and dreamy romantic imagery. Zumanity, also by Cirque du Soleil, is a "naughty" acrobatic show that will heat up your relationship as a couple even more...for at least the night you see the show! 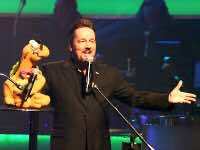 Terry Fator is a very talented ventriloquist, and while his show is not quite "romantic", you will get a kick out of his ability to imitate voices and sing with his lips closed! Absinthe is a completely different story...It's a very challenging circus show with stunning acrobatic tricks, mixed with incredibly naughty, at parts vulgar, but very funny adult humor. So leave your inhibitions behind when adding Absinthe to your Las Vegas honeymoon package! 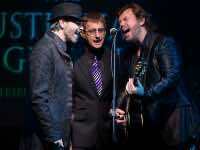 Add a few great live music concerts to your Las Vegas honeymoon package! While the choice of permanent concerts is not as wide as that of other shows, the challenge was to select only the best concerts that you simply can't go wrong with. Therefore, here I only based my selection on popularity of concerts and reviews of other travelers. Enjoy! If you want to see other concerts by touring rock and pop bands, check out the calendar of Las Vegas concerts. Las Vegas offers plenty of great sightseeing tours, but I wanted to select the most romantic ones. 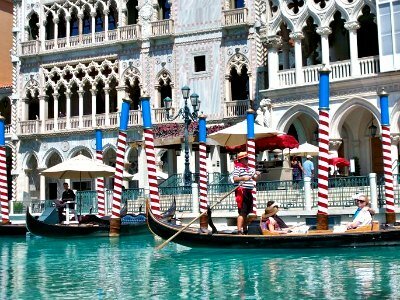 Romance Package is the most straightforward of all Las Vegas honeymoon packages - it includes a romantic gondola ride at the Venetian hotel, tickets to the Wax museum, and a diner at a romantic restaurant! You might also enjoy Photo Tour where you will take a tour with a professional photographer who will be taking memorable pictures of your honeymoon in Las Vegas. Night Lights tour would be perfect for a romantic evening - you will visit top Vegas attractions, lit by neon lights. But perhaps you might more enjoy your Las Vegas honeymoon packages with a Balloon or a Helicopter Ride high above the Strip! If you want to explore the area a little further - why not to take a day trip? Luckily, there are plenty of possibilities! Here are some excellent destinations located close enough from the city for a quick day trip. Perfect for a Las Vegas honeymoon or a romantic getaway! 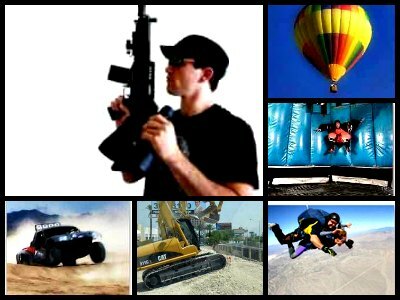 If you are a couple who enjoys thrilling, fun or extreme activities - here are some very fun things for you to do in Las Vegas!Las Vegas honeymoon These are the 5 things that I am going to do on my romantic trip to Vegas, so I am sure you would enjoy them during your Las Vegas honeymoon! When selecting romantic hotels to add to your Las Vegas honeymoon package, I had 2 main criteria in mind: they must have delicious food, and have incredible views. 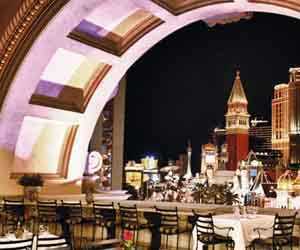 Eiffel Tower Restaurant and Prime Steakhouse at Bellagio offer amazing views of the dancing Bellagio Fountains. Top of the World located on top of the Stratosphere Hotel and Alizé located on top of Palms Casino Hotel have unbelievable views of the Strip. The views from these 2 restaurants are so amazing because Palms is located off the Strip, and Stratosphere is located at the very end (or beginning) of it - so you can see the entire Strip from above! Lakeside at Wynn opens to a very unique "free" show (it's free only to visitors of the hotel) called Lake of Dreams that came straight from the imagination of Steve Wynn - the man behind the design of several amazing hotels in Vegas. There is only one thing better than a relaxing spa experience - enjoying it with your significant other! I suppose you would love to add spa treatments to your romantic package? The thing about spa in Vegas is that most salons have separate rooms for men and women. But I've found a few that offer a co-ed experience, and even special massage suites and treatment rooms for couples. Great way to honeymoon in Las Vegas!